Back in 1996, Jamie Randall (Jake Gyllenhaal) was an electronic store salesman with full on charisma with the girls because of his oozing charm. But when he was caught cheating with his manager's girlfriend, he decided to be a pharmaceutical representative, as suggested by his brother, Josh. Working for Pfizer and trying to introduce Zoloft and Zithromax instead of doctors prescribing their competitor brand, Prozac to patients, he sought the help of Dr. Knight and shadowed him for a day. One of Dr. Knight's patients, Maggie Murdoch (Anne Hathaway), is sick with an early stage of Parkinson's disease and Jamie got interested with her but she thought otherwise because of her bad experience with the "medical field". As Jamie was persevered to "get the girl", he went out of his way to get Maggie's trust. When she settled on a relationship with him, he encountered days when he couldn't get his "package" up, so Maggie suggested newly discovered drug, owned by the company where Jamie is working, to have been helping men with erection problems. Asking his partner Bruce about it, he started endorsing the product to clinics and doctors and became a huge hit, not just with men, but also with women with partners experiencing the same problem. At a pharmaceutical conference, Jamie brought Maggie, but a woman asked her to join a Parkinson's Convention nearby. As she went and got inspired of how empowering they are, she asked Jamie to go there too, but was warned by another guy who has a wife suffering from the last stage of Parkinson's disease. As he was already very much in love with Maggie, he started looking around for cure of the disease so he wouldn't suffer to slowly lose her. But as his life is on the fast track, Maggie is getting tired of their relationship being about her sickness. So as to not feel sorry for herself anymore, she broke up with Jamie and told him to live his life before her. Will they ever come around and believe in the most powerful pill (Read: LOVE) in the world? I discovered a love/hate in this movie. While some parts are dragging, Anne Hathaway's comebacks to Jake Gyllenhaal were pretty funny. And her being sick with Parkinson's is so touching and believable. I think I cried twice during this film. Plus stars for the cinematography too. They made the black and white scenes so pretty that it made it more dramatic. Four stars for this lovable and endearing movie. Thomasian and Proud at 400 Years! My beloved Alma Mater, The Royal, Pontifical and Catholic University of the Philippines, UNIVERSITY OF SANTO TOMAS will hold its grand celebration this Thursday, January 27, 2011 and Friday, January, 29, 2011 in its 400th year of unending grace. Tonight, the Q Grand Program will happen after the unveiling of the Quattromondial Monument at 6:30 PM at the Quadricentennial Plaza. The Q Grand Program, will be held at the UST Grandstand and will feature Thomasian talents and artists. And of course, a fireworks display will happen at 11:00 PM, as a countdown to the big event on January 28, The Feast of St. Thomas Aquinas. On January 28, a Thanksgiving Mass will be celebrated by His Excellency Cardinal Zenon Grocholewski, Prefet of the Congregation pou L’ Education Catholique. After the mass, a Grand Dinner will commence at the Plaza Mayor, right in front of the Main Building. Happy Quadricentennial Celebration UST! When I graduated last 2006, I vowed to be there on your special day. So I will definitely be there later and be very joyous in this once in a lifetime event. "There are no small jobs, just small people"-- Lemuel Gulliver. 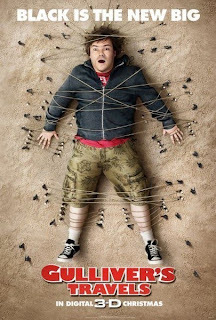 New York Times mailroom clerk Gulliver (Jack Black) is your everyday ordinary guy, with small aspirations. When he has worked for the same job for many years, he also fancies the same girl whom he doesnt even dare speak to. His insecurities were eaten up inside the mailroom that he considers his only kingdom. As an "all talk and no move" person, he was pushed to apply for a writing job when he was trying to impress Darcy Silverman (Amanda Peet), the travel editor whom he has a crush on for years. Plagiarizing travel sites, he landed on the job and was assigned to the Bermuda Triangle as his first project. When he thought that he was sailing smoothly at sea, a hurricane engulfed him into Liliput, the land of the small people. As they considered him a giant, he was taken into prison but impressed the townspeople and the Royal Family when he saved the King Benjamin's (Bill Connoly) life. He was even friends with Horatio (Jason Segel), whom he helped in winning Princess Mary's (Emily Blunt) affection. He tried fooling the people of Liliput and was having the grandest time, but then General Edward (Chris O'Dowd), could not accept that Gulliver was being loved. So he connived with rival kingdom and made a powerful robot to imprison Gulliver again and make him disappear to the "Land where no one dare go". But when Horatio followed him to tell that Darcy was held captive of General Edward, Gulliver must make the move to protect his own princess. Will the more-talk less-action guy finally come to his senses? And will he be able to finally stand up on his own heroic self? 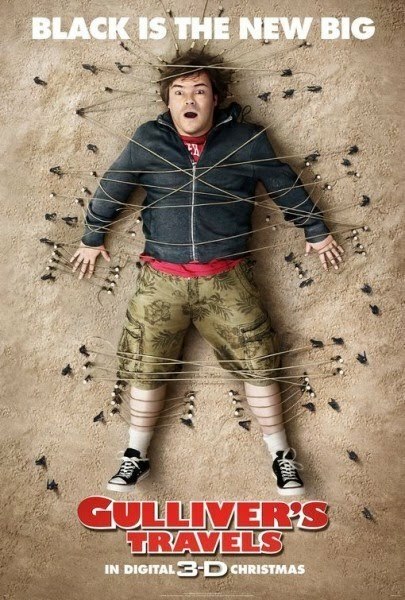 Watch Gulliver's Travel and laugh along the crazy antics of this Big Guy. Prepare to feel awesome after watching this movie. The film isnt at all complicated, the storyline is priceless and who would ever thought that someone as hot as Amanda Peet could look good with Jack Black? But the lesson of this film is getting what you really want and striving hard for it. 5 Stars for this comedic masterpiece. One day at SM North EDSA Skydome, one stall sells Garlic Potatoes and makes everyone taste it for free. I thought it seems good, garlicky but sweet at the same time. 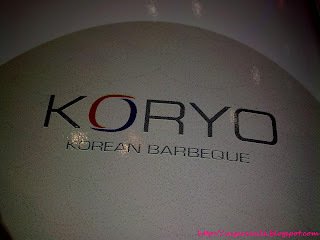 And that's when I discovered KORYO, the new age of Korean Barbeque. Cozy and spacious. Just my kind of place. Entering Koryo, this fusion restaurant was pristine and cozy. It was too white and clean. I actually felt relaxed at the same time. I never thought that a restaurant like this could be possible at Skydome since it is known for late night drinking sessions to few people. We had the Beef and Chicken Combo (P195) first. 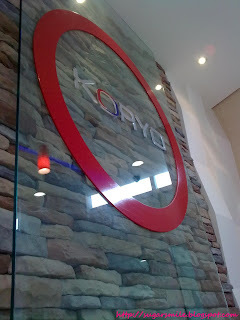 I enjoyed how their beef is so tender. And since the meal is for two people already, four side dishes come in hand. Boyfriend can't get enough of the sauces they served. It really brought out the flavor of the beef and chicken. Talk about healthy! 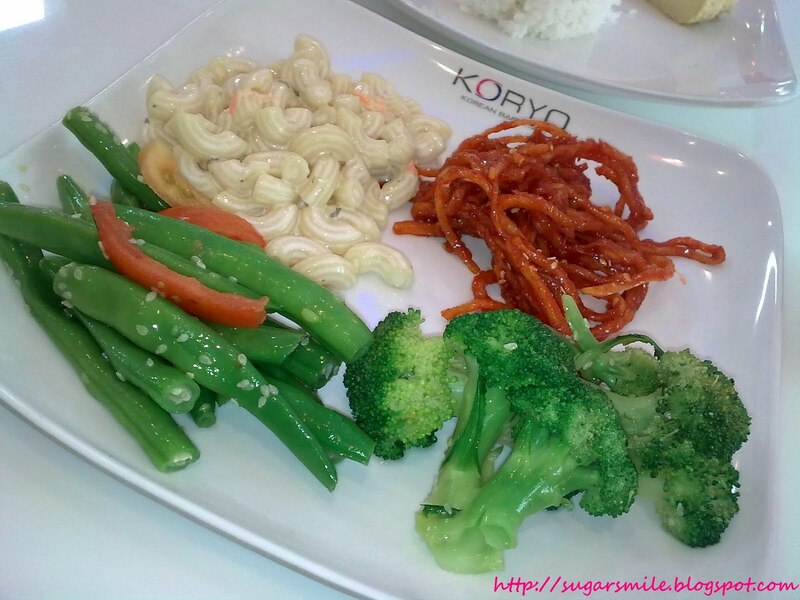 Koryo has side dishes for only P55. But ours is included in the combo. 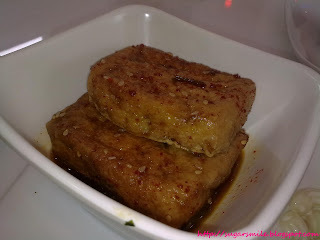 But should you want more, a "scrumptious mix of sweet, spice and everything nice" is served as a side dish. Choose from: Garlic Potato, Glass noodles, Tofu, Green Beans, Okra, Kangkong, Broccoli, Kim Chi, Bean Sprouts, Steam eggs, Koryo Spring Roll, Macaroni Salad, Shredded Squid (which is super spicy that I gave up), Daikon, Watercress or Cucumber. Now, how cool is that? For my "solo" meal, I had the BBQ Chicken (P95). It definitely suits my love for chicken. I think I can have this everyday and not get tired at all. 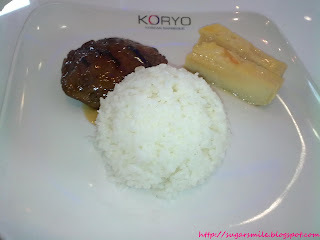 Even though I havent tasted all there is in Koryo, I would definitely come back for more. Its healthy and yummy. It definitely suits my lifestyle now. Oh, and didnt I tell you? Koryo also serves Snow Beer for gimik nights. Just shows that whatever lifestyle you have, they can adapt to your tastebuds. Koryo is located at Unit 12, Sky Garden, SM City North EDSA. You may contact them at (02) 409-9038. Last year, my friend Malyn introduced us to that place. I wished for a special someone and it came true. Part of me visited it again to say thanks, and the other for Jeff's dilemma to finally be over. We used the wooden blocks that were said to answer yes or no to your questions. Two blocks facing back answers "No", One block facing front and the other backwards says "Yes", while two blocks facing front means the God of War is laughing at your question. We all first thought it was the other way around, but one Feng Shui expert told us that those above follows. 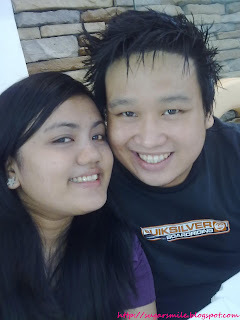 After checking out from one store to another, we went to one Feng Shui Store along Salazar Street. The store was crowded so we thought that maybe the Feng Shui expert, Johnson Chua, must be really good. When it was Kara's turn, we were convinced. And he doesn't charge for the readings. He recommended an Aquamarine and Rose Quartz charm bracelet for love. 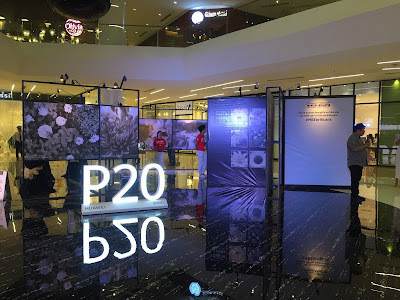 I guess its better to buy those in specialty feng shui stores because they bless them first and even customize them, according to your needs. What is Chinatown without Chinese Style Food? 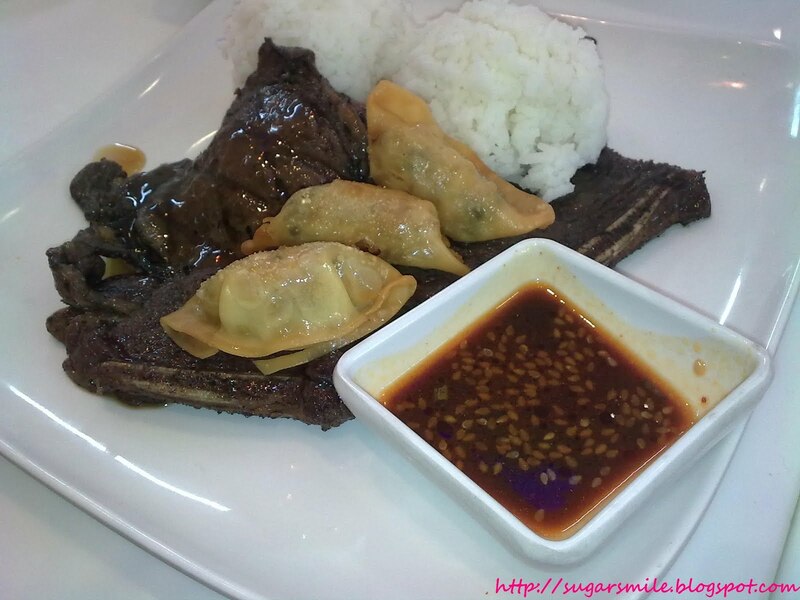 For us, we tried Happy Delicious Kitchen along Benavidez Street. Had three-in-one meals for only P130. It was a satisfying meal, considering that we've walked around Chinatown for hours. But what intrigued me the most are the cherry flavored sodas. The Cherry Coke was absolutely delicious. The 7-Up has anti-oxidants. But they are both my favorite now. I think I should have bought lots of it. Here's to friendships and more adventures this year. And its just January, I can't wait to discover more places again. I'm pretty sure it'll be a fun-filled year and more. Let's Start the Year Right By Being PULPY! I didn’t believe it the first time I heard it’s got no preservatives added. So I read the ingredients (even the fine print) and everything checked out! It really has NO PRESERVATIVES ADDED! That means it doesn’t have ingredients that may turn out to be allergens, or worse...carcinogens! Whew! Now that’s healthy goodness that tastes so good, I... believe that if I drink some more, Minute Maid Pulpy would keep me healthy and refreshed all day long. So okay, it’s got no preservatives added. That’s really good, right? Not just because it doesn’t have those icky, harmful ingredients, but it also means... that the pulpy goodness of Minute Maid pulpy is a hundred percent natural and a sweet delight. So far anyone who still has a hard time believing that Minute Maid has got no preservatives added - meaning it's THAT natural, it's almost like it's plucked straight from the tree, it's just as Mother Nature wanted your orange juice to be, it's got nothing but the good stuff yes, none of those potentially toxic stuff that can harm your brain, kidneys, heart; cause tumors aargh- the list of preservatives' bad effects just go on!!! Anyway, just to prove a point on just how good Minute Maid Pulpy is 'cause it's got NO PRESERVATIVES ADDED, I'm gonna drink it for the rest of my life, without worrying that harmful chemicals can get inside my body, while having my pulpy fix.